Why was Shah Hussain acquitted in Khadija stabbing case? Pakistanis have reacted badly to the acquittal of law student Shah Hussain convicted for stabbing his class fellow, Khadija Siddiqi. He was serving a five-year sentence when the news came from the Lahore High Court on Monday. 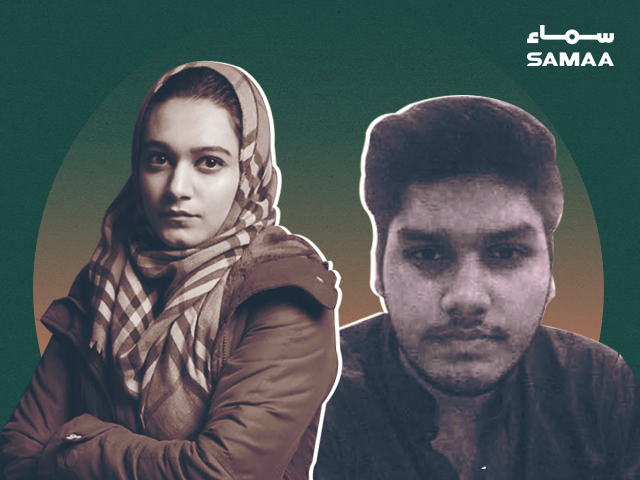 Talking to SAMAA Digital, Khadija’s lawyer Hassaan Niazi said that the court probably released Hussain as his lawyer had contested that the young man was ever at the crime scene. “Things will only be clear once the court releases the detailed order,” her lawyer added. Khadija’s lawyer told SAMAA that he believed that there were two videos of the incident. One shows the attacker leaving the crime scene after the stabbing. The second video, which was much clearer and shows the attacker stabbing the victim, was misplaced by the investigation team. “The investigation officer told me that they have lost the footage,” her lawyer said. On May 3, 2016, Khadija was attacked by a helmet-wearing suspect on a motorcycle when she had gone to pick her younger sister from school on Davis Road in Lahore. The attacker stabbed Khadija 23 times, leaving her critically injured. Five days later, Khadija identified the attacker as her classmate Hussain. Within a week of the attack, a case was filed and evidence was presented in court. It included video footage. In July 2017, a judicial magistrate convicted Hussain of attempted murder and handed him seven years of rigorous imprisonment. In March 2018, however, a sessions court reduced Hussain’s imprisonment from seven to five years. Khadija and Hussain both went to the Lahore High Court to have the verdict reviewed. His family contested the sentence, saying that the evidence against him wasn’t enough. Khadija’s lawyer filed an appeal against the reduction in his sentence. And then, to many people’s surprise, Justice Sardar Ahmed Naeem acquitted Hussain at the appeal hearing on Monday (June 4, 2018), giving him the benefit of the doubt. The court has yet to issue its detailed judgment. A day later, on June 5, 2018, Chief Justice Mian Saqib Nisar took suo moto notice of the acquittal. He will hear the case at the Supreme Court Lahore Registry on June 10. Khadija right now. All pumped to fight the next battle. Supreme Court we are coming.